So, smaller catamarans - smaller than 35 ft - are not available. Indeed in these sizes it is more practical to rent a monohull instead, like a Bavaria, Jeanneau Sun Odyssey or Beneteau Oceanis. 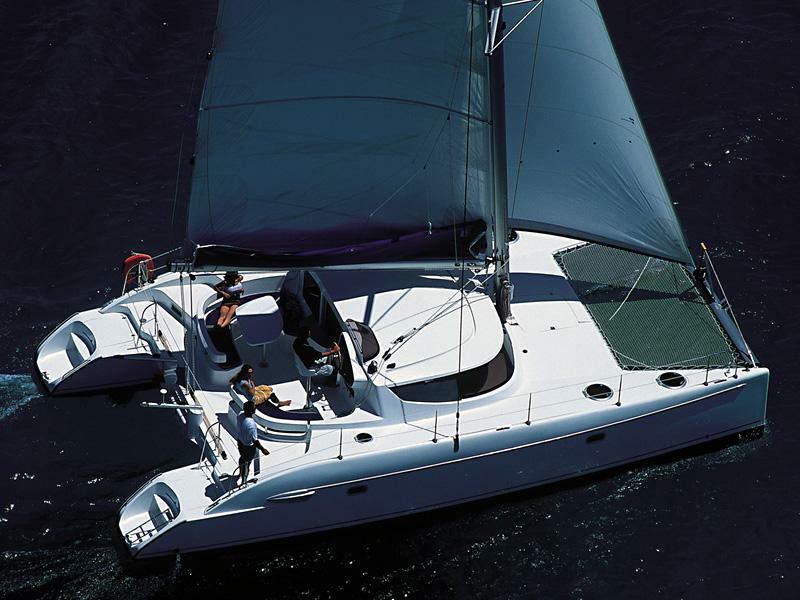 The photo shows a Fountaine Pajot - Lavezzi 40 catamaran.
.: Back to the catamarans :.